WATCH: Bakit Lahat Ng Gwapo May Boyfriend? Trailer - Balita Boss! 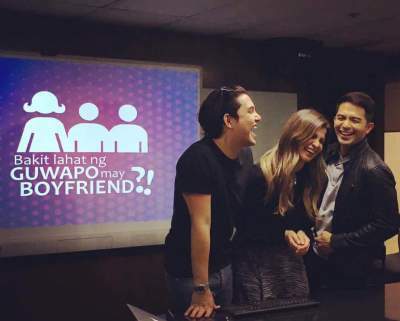 Anne Curtis teamed up with Dennis Trillo and Paolo Ballesteros in a new movie titled "Bakit Lahat Ng Gwapo May Boyfriend?". The main cast of the movie uploaded the teaser of the upcoming movie on their social media account. Watch the trailer of "Bakit Lahat Ng Gwapo May Boyfriend?" below posted by Curtis on her Facebook page, which coming out soon. According to a report from GMA Network, the new movie will be directed by Jun Robles Lana, under Viva Films.